Post by Kevin Befus, Assistant Professor in Civil and Architectural Engineering at the University of Wyoming. Have you ever taken a walk on the beach during a lowering (ebbing) tide and see mini-rivers grow and create beautiful drainage patterns before your eyes? 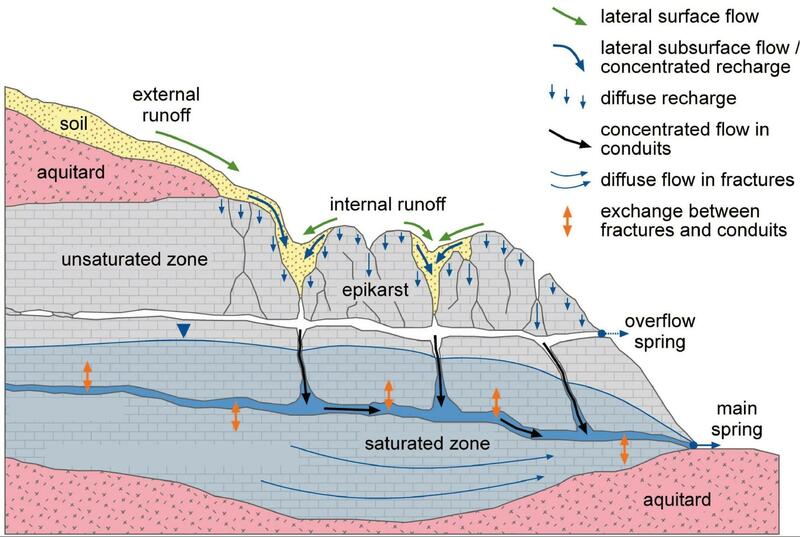 These short-lived groundwater seepage features (Fig. 1A) are tiny (and fast) analogs of how groundwater has shaped some parts of Mars! It appears that groundwater loosening sediments can lead to all sorts of scales of erosion on both Earth and Mars. Figure 1. 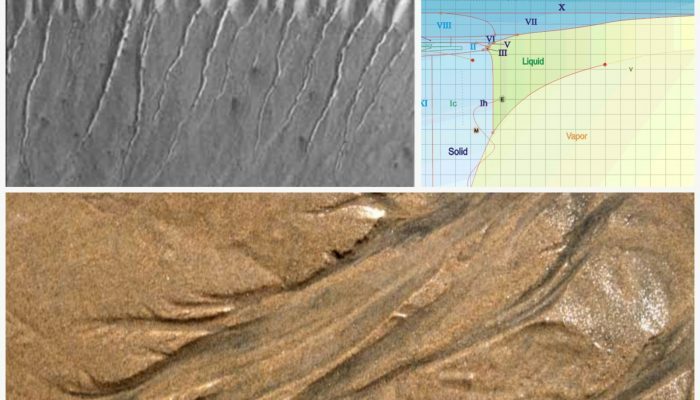 A) Beach drainage pattern on the order of 1 meter (Source: https://epod.usra.edu/blog/2017/01/beach-drainage.html), B) Martian “alcoves” suggesting groundwater seepage . Mars is not currently a friendly place for water to exist at the surface or even the subsurface, but an abundance of photographic and topographic evidence point to there having been the right conditions for active groundwater flow on Mars. But isn’t Mars too cold for liquid water? The answer is generally a strong yes for the past few billion years, but amazingly enough, there appears to have been some local places where groundwater discharged to the Martian surface and left behind telltale signs. Because Mars is cold at its land surface (mean surface temperature of -50 C with daily swings from 0 C to -100 C) with a thinner atmosphere than Earth’s, water on the Martian surface can exist as ice (as in the polar ice cap), but sublimation and evaporation would quickly wick any water near the surface. 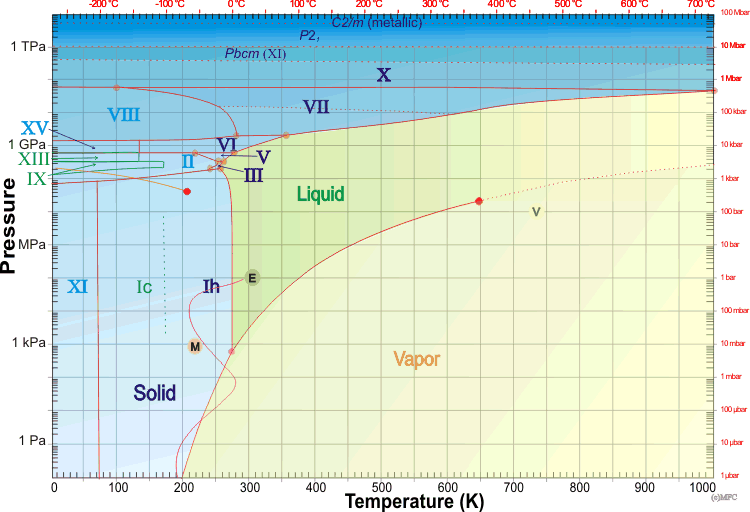 So, liquid water on Mars needs both more pressure and a good bit of heat for mobile groundwater based on the phase diagram below (circle with M shows the present day Martian surface conditions). It turns out that the most expansive evidence of liquid groundwater on Mars comes from deep at the bottom of craters (…deeper than 5 km! ), where the Martian geothermal gradient (~10 C/km [Michalski et al.2013]) heats up to the point where groundwater systems, probably made up of brines, can seep across the crater walls. Without the craters, the groundwater wouldn’t have anywhere to discharge, but extraterrestrial hydrogeologists (really based on the geomorphology, but using E.T. hydrogeology principles) have identified numerous craters with groundwater seepage erosional patterns (Figure 1). The question remains open on how connected the Martian “aquifers” could be, or if the craters represent only local flow systems. With liquid groundwater transporting the chemical-rich waters from deeper geothermal areas, the conditions could be right for supporting a deep Martian biosphere. Buried in under the Martian ice, soil, and rock microbial life could have evolved in the subterranean shelter from cosmic radiation. Groundwater flow, potentially related to geothermal conditions, could then have served as the conveyor belt for energy-rich molecules to feed microbial life in the subsurface (and still could?). So far, Earth is the only celestial body in our solar system with an active water-hydrologic cycle, making us the lucky green planet. But, there could be a methane-based hydrologic cycle on Titan with “methanifers” as methane aquifers! For more information on extraterrestrial hydrogeology, Baker et al. 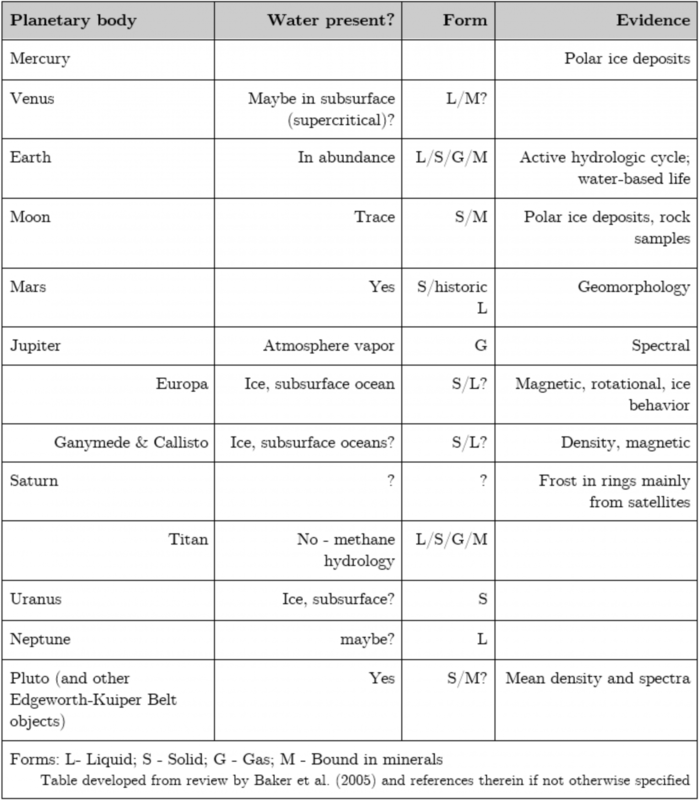 (2005) provides a great overview of the planetary, lunar, and exo-planetary potential for water and groundwater, loosely summarized in this table. At the moment, Earthlings don’t know that much yet about the paleo-hydrologic processes on Mars. But with new boots…I mean wheels…on the ground in two water-focused locations, new clues could start rolling in on Martian groundwater. The recently-arrived InSight lander will probe the Martian subsurface by drilling 5 m deep and listen for acoustic signals for even more information on the interior of Mars. The next Mars Rover is scheduled to take flight in 2020 for the Jezero Crater, where a river delta could help unravel the water-life story of Mars. And could have some groundwater surprises! At only about 1 km deep, the focus in mainly on tracking down signs of life and unravelling surface hydrologic and erosional processes on Mars, but a long list of expected outcomes does show the mission will keep an eye out for evidence of groundwater activities. Keep your feet grounded, eyes in the sky, and visions of Martian groundwater flying high and drilling low! Malin, M. C., and K. S. Edgett (2000), Evidence for Recent Groundwater Seepage and Surface Runoff on Mars, Science, 288(5475), 2330–2335, doi:10.1126/science.288.5475.2330. Michalski, J. R., J. Cuadros, P. B. Niles, J. Parnell, A. Deanne Rogers, and S. P. Wright (2013), Groundwater activity on Mars and implications for a deep biosphere, Nat. Geosci., 6(2), 133–138, doi:10.1038/ngeo1706. 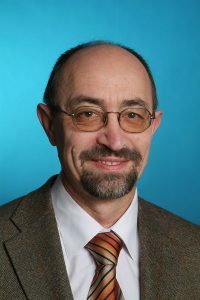 Stofan, E. R. et al. (2007), The lakes of Titan, Nature, 445(7123), 61–64, doi:10.1038/nature05438. Baker, V. R., J. M. Dohm, A. G. Fairén, T. P. A. Ferré, J. C. Ferris, H. Miyamoto, and D. Schulze-Makuch (2005), Extraterrestrial hydrogeology, Hydrogeol. J., 13(1), 51–68, doi:10.1007/s10040-004-0433-2. Robinson, K. L., and G. J. Taylor (2014), Heterogeneous distribution of water in the Moon, Nat. Geosci., 7(6), 401–408, doi:10.1038/ngeo2173. Jurac, S., M. A. McGrath, R. E. Johnson, J. D. Richardson, V. M. Vasyliunas, and A. Eviatar (2002), Saturn: Search for a missing water source, Geophys. Res. Lett., 29(24), 25-1-25–4, doi:10.1029/2002GL015855. Keep up to date on all WaterUnderground posts by following us on our LinkedIn page! Have an idea of an intriguing post idea? We’d love to hear from you. 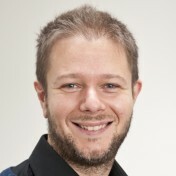 Post by Andreas Hartmann, Assistant Professor in Hydrological Modeling and Water Resources at the University of Freiburg. Episode 4 – Karst Groundwater: quick and slow at the same time? We often associate groundwater with large water storage and very slow water movement for instance compared to rivers. But is it possible that groundwater flow can be as quick as stream flow and, at the same aquifer, flow for several months or years before it is reaching the surface again? Of karst, it is possible! When chemical weathering is able dissolve carbonate rock, cracks and fissures may grow to a subsurface channel system that can take vast amounts of water flow (see Of Karst! – episode 2). The schematic figure below shows how this affects water flow in a karst system. At the surface, water may flow for some distance (external runoff towards the recharge area or internal runoff within the recharge area), before it reaches a dissolution widened vertical crack or fissure. On its way, part of it may slowly infiltrate into the soil but the stronger the rainfall event, the more water will infiltrate quickly into cracks and fissures after being redistributed laterally. Consequently, slow and quick infiltration will be followed by slow and quick vertical flow through the vadose zone. The former through the carbonate rock matrix, the latter through the interconnected system of dissolution caves. Finally, recharge and groundwater flow take place, again quickly through the caves and slowly through the matrix. When passing the system through the cave network, water can enter and leave the system within several hours. When taking the slow and diffuse path, the transit through the system may take months to years. Because of this behavior, hydrogeologists often speak about the Duality of Karstic Groundwater Flow and storage, although it is known that there is a wide range of dynamics between quick flow through the caves and slow flow through the matrix and that lateral redistribution between the interconnected caves and the matrix takes place at almost every part of the system. 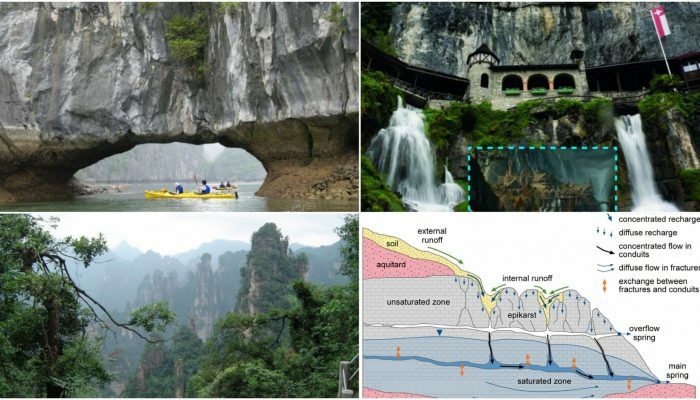 In order to predict the impact of interplay of quick and slow karstic groundwater processes on cave water levels or water resources in general, karst-specific simulation models are necessary. 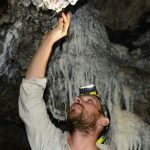 If you are interested in those, follow the Water Underground blog’s postings and wait for Of Karst! Episode 5, which will introduce karstic groundwater modelling. Groundwater is the biggest store of accessible freshwater in the world, providing billions of people with water for drinking and crop irrigation. That’s all despite the fact that most will never see groundwater at its source – it’s stored naturally below ground within the Earth’s pores and cracks. While climate change makes dramatic changes to weather and ecosystems on the surface, the impact on the world’s groundwater is likely to be delayed, representing a challenge for future generations. Groundwater stores are replenished by rainfall at the surface in a process known as “recharge”. Unless intercepted by human-made pumps, this water eventually flows by gravity to “discharge” in streams, lakes, springs, wetlands and the ocean. A balance is naturally maintained between rates of groundwater recharge and discharge, and the amount of water stored underground. Groundwater discharge provides consistent flows of freshwater to ecosystems, providing a reliable water source which helped early human societies survive and evolve. When changes in climate or land use affect the rate of groundwater recharge, the depths of water tables and rates of groundwater discharge must also change to find a new balance. The time it takes for this new equilibrium to be found – known as the groundwater response time – ranges from months to tens of thousands of years, depending on the hydraulic properties of the subsurface and how connected groundwater is to changes at the land surface. 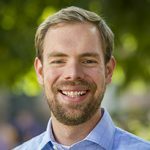 Estimates of response times for individual aquifers – the valuable stores of groundwater which humans exploit with pumps – have been made previously, but the global picture of how quickly or directly Earth’s groundwater will respond to climate change in the coming years and decades has been uncertain. To investigate this, we mapped the connection between groundwater and the land surface and how groundwater response time varies across the world. We found that below approximately three quarters of the Earth’s surface, groundwater response times last over 100 years. Recharge happens unevenly around the world so this actually represents around half of the active groundwater flow on Earth. This means that in these areas, any changes to recharge currently occurring due to climate change will only be fully realised in changes to groundwater levels and discharge to surface ecosystems more than 100 years in the future. We also found that, in general, the driest places on Earth have longer groundwater response times than more humid areas, meaning that groundwater stores beneath deserts take longer to fully respond to changes in recharge. Groundwater stores are ‘recharged’ by rainfall and ‘discharge’ into surface water bodies such as lakes. Studio BKK/Shutterstock. Edited by author. In wetter areas where the water table is closer to the surface, groundwater tends to intersect the land surface more frequently, discharging to streams or lakes. This means there are shorter distances between recharge and discharge areas helping groundwater stores come to equilibrium more quickly in wetter landscapes. Hence, some groundwater systems in desert regions like the Sahara have response times of more than 10,000 years. Groundwater there is still responding to changes in the climate which occurred at the end of the last glacial period, when that region was much wetter. In contrast, many low lying equatorial regions, such as the Amazon and Congo basins, have very short response times and will re-equilibrate on timescales of less than a decade, largely keeping pace with climate changes to the water cycle. 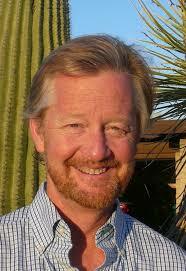 Geology also plays an important role in governing groundwater responses to climate variability. For example, the two most economically important aquifers in the UK are the limestone chalk and the Permo-Triassic sandstone. Despite both being in the UK and existing in the same climate, they have distinctly different hydraulic properties and, therefore, groundwater response times. Chalk responds in months to years while the sandstone aquifers take years to centuries. Global map of groundwater response times. Cuthbert et al. (2019)/Nature Climate Change, Author provided. In comparison to surface water bodies such as rivers and lakes which respond very quickly and visibly to changes in climate, the hidden nature of groundwater means that these vast lag times are easily forgotten. Nevertheless, the slow pace of groundwater is very important for managing freshwater supplies. The long response time of the UK’s Permo-Triassic sandstone aquifers means that they may provide excellent buffers during drought in the short term. Relying on groundwater from these aquifers may seem to have little impact on their associated streams and wetlands, but diminishing flows and less water could become more prevalent as time goes on. This is important to remember when making decisions about what rates of groundwater abstraction are sustainable. Groundwater response times may be much longer than human lifetimes, let alone political and electoral cycles. 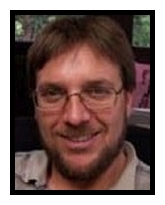 Mark Cuthbert is a Research Fellow and Lecturer in the School of Earth and Ocean Sciences, at Cardiff University in the United Kingdom. 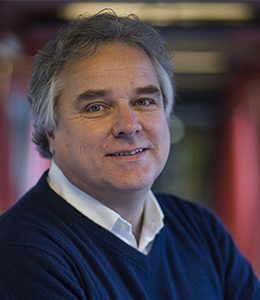 Mark’s work currently focuses on coupled hydrological-climate process dynamics in order to: understand groundwater sustainability; improve interpretations of terrestrial paleoclimate proxy archives; and understand how Quaternary paleoenvironments influenced human evolution. 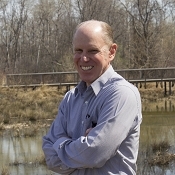 Kevin Befus leads the groundwater hydrology group in the Civil and Architectural Engineering Department at the University of Wyoming. 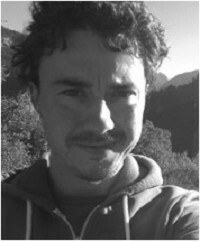 With his research group, he studies how groundwater systems respond to hydrologic conditions over glacial timescales and in mountainous and coastal environments. 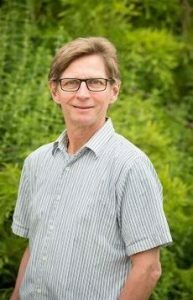 Tom Gleeson leads the Groundwater Science and Sustainability group in the Civil Engineering Department at the University of Victoria. 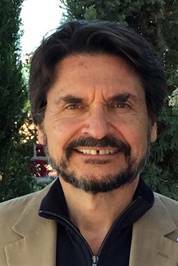 His research interests include groundwater sustainability, mega-scale groundwater systems, groundwater recharge and discharge and fluid flow around geologic structures. 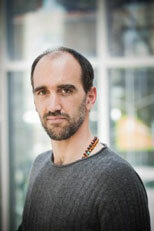 Tom is also the founder of this blog, WaterUnderground. Post by Kevin Befus, Assistant Professor at the College of Engineering and Applied Science at the University of Wyoming, in the United States. 3D geologic data can be hard to come by, and can be even more difficult to combine into a continuous dataset. 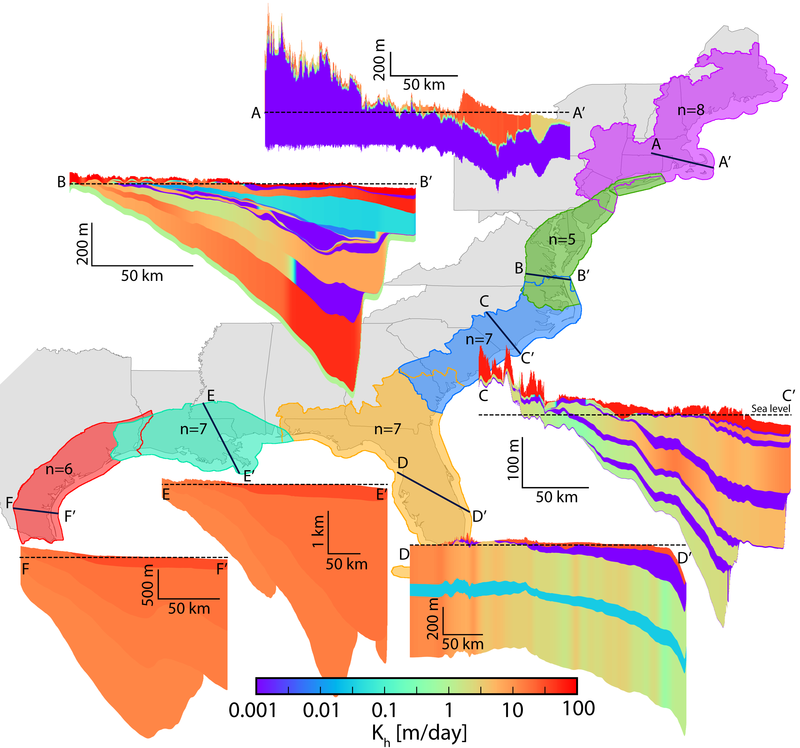 The cross-sections shown here are directly from 3D groundwater models that I compiled [Befus et al., 2017], primarily from USGS groundwater models, for the U.S. East Coast. I kept each of the regional domains (different color swaths on the map) separate, since I ran into the issue of “border discontinuities” between different models where naming conventions and hydrostratigraphic structure didn’t match up. Kh is the horizontal hydraulic conductivity. We’ve all been asked (or do the asking), “where does your water come from?” This is a fundamental question for establishing a series of additional questions that can ultimately help define strategies for valuing and protecting a particular water resource. For groundwater, we could phrase this question differently, and I often do when talking to well owners: How deep is your well? If I get an answer to this, then I can dive into additional questions that can help define more about the local groundwater resource: How deep is the well screen? How long is the screen? Do you know what the water level in the well is? Has it changed over some given time? Seasonally? These are all useful questions, and they serve to begin establishing the hydraulic conditions of a particular aquifer. I ask these whenever I can. To do this at a larger scale, we can turn to various governmental agencies that regulate groundwater resources and/or water well drilling and often collect and store groundwater data (e.g., www.waterqualitydata.us/, http://nlog.nl/en/data, http://gin.gw-info.net/service/api_ngwds:gin2/en/gin.html, or http://www.bgs.ac.uk/research/groundwater/datainfo/NWRA.html). There is a wealth of information out there internationally on wells when they were drilled and where the driller first hit water. These driller logs can provide a snapshot in time of the water table elevation and can be extremely useful for tracking hydrologic variability [Perrone and Jasechko, 2017], extracting hydraulic parameters [Bayless et al., 2017], and for testing model results [Fan et al., 2013]. Unfortunately for us earthy nerds, some governments have restricted access to well installation data for either certain types of wells (i.e., municipal) or for all wells, usually for privacy or safety concerns. Back to the original question. 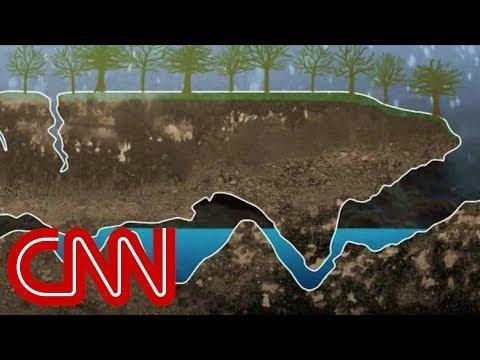 How deep is groundwater? I keep this question broad. We can usually answer this question for particular areas where we have access to the right data, but for large parts of the globe, and potentially underneath you right now, we cannot answer this question. The “right data” for a hydrogeologist is some form of information on geologic/stratigraphic layer (or lack of layering) that can be tied to the rock properties. For a surficial, unconfined aquifer, this can be relatively easy, but when we start stacking several geologic units on top of each other or start actually using the groundwater, this question of how deep groundwater is becomes tricky. We could qualify this question by asking how deep “usable” groundwater is, which, of course, depends on our definition of usable water for a specific purpose. Or, we can point (or integrate) through the Earth’s crust, core, and right back to its crust and calculate the huge value of how much water is “in the ground” (and minerals)[Bodnar et al., 2013]. And I haven’t even brought up porosity yet! Or specific storage! A example of a great public 3D interactive web viewer (https://wateratlas.net/) that integrates groundwater data, geological information, and well construction details produced by the Centre for Coal Seam Gas at the University of Queensland (https://ccsg.centre.uq.edu.au/), which is supported by the University of Queensland and industry partners. For more information on this water atlas, please contact Dr. Sue Vink (s.vink@smi.uq.edu.au) or Alexandra Wolhuter (a.wolhuter@uq.edu.au). Don’t worry. I won’t go there. I want to harass/encourage the hydro[geo]logic community to get serious about sharing their hydrogeologic data. This does mean metadata (do I hear a collective groan? ), but metadata and data management plans are increasingly required to secure funding. CUAHSI’s Hydroshare site (www.hydroshare.org) provides a platform uploading hydro models, and the U.S. Geological Survey has developed a slick web system for exploring hydrogeologic models. But, I’d like to take this further, or at least get a service like that going for anyone who wants to share their models. There is a wealth of crustal structure data out there, and groundwater models are unique in often containing some representation of three-dimensional geology/hydrostratigraphy along with Earth properties. There are some great deterministic, published datasets and models of global hydrogeology [De Graaf et al., 2015; Huscroft et al., 2018], but we can do better. Wouldn’t it be great to have a centralized database to extract an ensemble of hydrogeologic structure used in previous regional or local studies? How about be able to draw a model boundary on a web interface and extract 3D structure for your next model? And compare cross-sections between models in the same area? Want to start fitting your puzzle pieces into the international hydrogeologic puzzle? The question now becomes, how do we do it? A “DigitalCrust” has been proposed [Fan et al., 2015], but is not yet in reach. Join the movement of a “Digital Earth” [Gore, 1998]! Bayless, E. R., L. D. Arihood, H. W. Reeves, B. J. S. Sperl, S. L. Qi, V. E. Stipe, and A. R. Bunch (2017), Maps and Grids of Hydrogeologic Information Created from Standardized Water-Well Driller’s Records of the Glaciated United States, U.S. Geol. Surv. Sci. Investig. Report2, 2015–5105, 34, doi:10.3133/sir20155105. 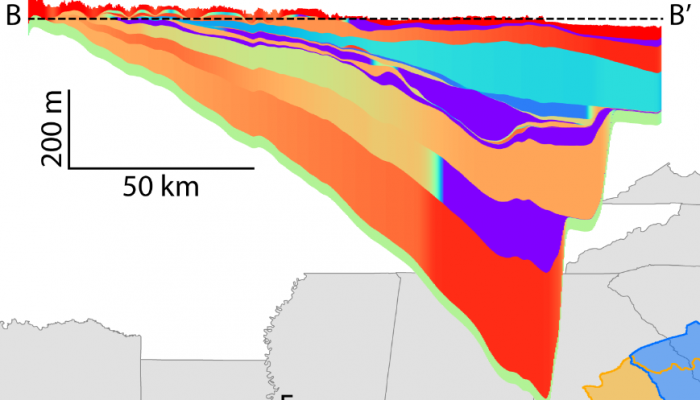 Befus, K. M., K. D. Kroeger, C. G. Smith, and P. W. Swarzenski (2017), The Magnitude and Origin of Groundwater Discharge to Eastern U.S. and Gulf of Mexico Coastal Waters, Geophys. Res. Lett., 44(20), 10,396-10,406, doi:10.1002/2017GL075238. Bodnar, R. J., T. Azbej, S. P. Becker, C. Cannatelli, A. Fall, and M. J. Severs (2013), Whole Earth geohydrologic cycle, from the clouds to the core: The distribution of water in the dynamic Earth system, Geol. Soc. Am. Spec. Pap., 500, 431–461, doi:10.1130/2013.2500(13). Fan, Y., H. Li, and G. Miguez-Macho (2013), Global patterns of groundwater table depth, Science, 339(6122), 940–943, doi:10.1126/science.1229881. Fan, Y. et al. (2015), DigitalCrust – a 4D data system of material properties for transforming research on crustal fluid flow, Geofluids, 15(1–2), 372–379, doi:10.1111/gfl.12114. Gore, A. (1998), The Digital Earth: Understanding our planet in the 21st Century, Aust. Surv., 43(2), 89–91, doi:10.1080/00050326.1998.10441850. De Graaf, I. E. M., E. H. Sutanudjaja, L. P. H. Van Beek, and M. F. P. Bierkens (2015), A high-resolution global-scale groundwater model, Hydrol. Earth Syst. Sci., 19(2), 823–837, doi:10.5194/hess-19-823-2015. Huscroft, J., T. Gleeson, J. Hartmann, and J. Börker (2018), Compiling and Mapping Global Permeability of the Unconsolidated and Consolidated Earth: GLobal HYdrogeology MaPS 2.0 (GLHYMPS 2.0), Geophys. Res. Lett., 45(4), 1897–1904, doi:10.1002/2017GL075860. Perrone, D., and S. Jasechko (2017), Dry groundwater wells in the western United States, Environ. Res. Lett., 12(10), 104002, doi:10.1088/1748-9326/aa8ac0. 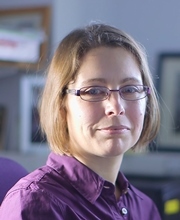 Post by Mark Cuthbert, Research Fellow and Lecturer at Cardiff University, in the United Kingdom, and by Gail Ashley, Distinguished Professor at Rutgers University, in the United States. During the dry season, Lake Masek in Northern Tanzania (see map) is a lovely place to be if you’re a hippo or a flamingo, but for humans it’s an inhospitable environment. We were on ‘safari’ (a scientific one of course, but the wildlife was a massive bonus! Photo 1-left) to try and better understand the distribution of freshwater in this dryland landscape. Map: Locations on our groundwater safari in Northern Tanzania. Watching our backs in case of predators, we ventured out of the safety of our Land Rover for Gail to sample the lake water, as salt blew in drifts around us off the desiccated edges of the lake bed (Photo 1-right). It was very salty and not potable for humans. All the streambeds that run into the lake were dry and yet our Masai guide told us that nearby we could find freshwater all year round. Photo 1: (L) The amazing wildlife in the Ngorongoro Crater & (R) Saline-alkaline Lake Masek. Intrigued, we set off around the edge of the lake and as we came over the crest of a small ridge were met with the most remarkable site – 1000s of cattle and goats queuing up for water from pools on the edge of the dry river valley just downstream of the lake. We waited for the queues of animals to die down and asked permission from the local guardians of the water source to investigate (Photo 2). The pools turned out to be fed from groundwater flowing out of rocks at the side of the valley. In contrast to the salty water from the adjacent lake, these springs were fresh and potable. 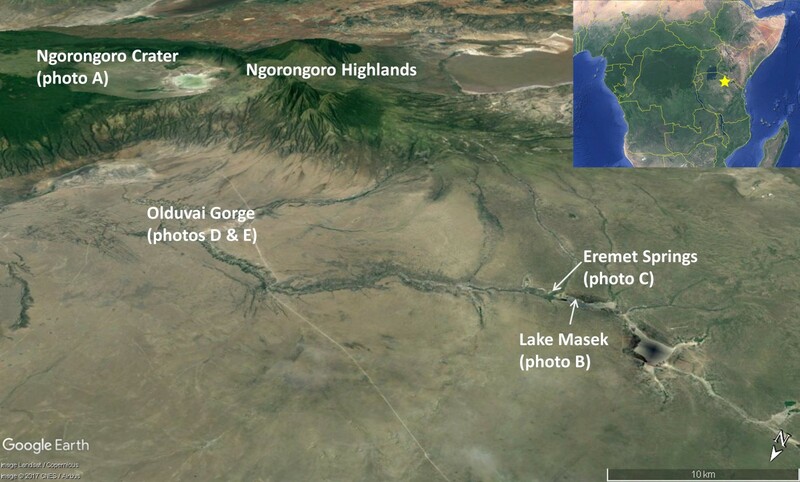 We think the water is very old having originally fell as rain on the flanks of the ancient Ngorongoro Highlands (see map) before flowing slowly under gravity through layers of volcanic rocks 10’s of km to the springs. Because there’s so much groundwater stored in these rocks, and because they are not very permeable, the water seeps out quite slowly. So the springs keep running all through even the longest droughts and are vital water supplies for local people. We travelled east along the same dry river valley in which we’d encountered the springs. Here the river, which only flows during the wet season, has cut itself into a steep ravine called Olduvai Gorge. We walked down the side of the gorge travelling back in time ~2 million years, the rocks and sediments around us telling a well-documented story of how the environment has changed over that time. Many exciting fossil discoveries have also been made in the gorge including some of our oldest human ancestors (Photo 3-left). 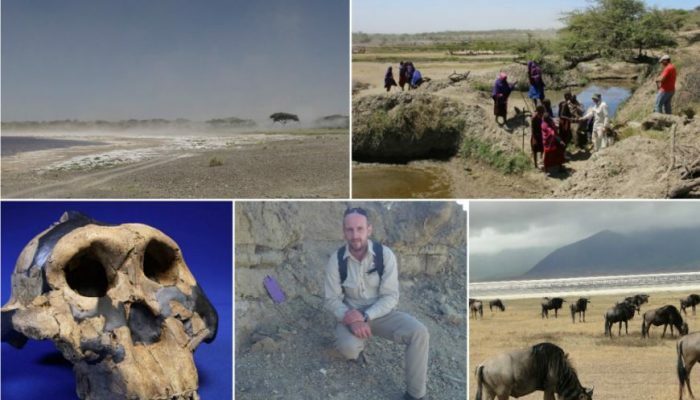 For us one of the most interesting discoveries was geological evidence of ancient springs (Photo 3-right) found in the same layers as fossil human ancestors and stone tools which Gail has documented going all the way back to nearly 2 million years ago (read more here). There are clues from the surrounding sediments that there was a lake nearby but it was salty and alkaline, and we think the springs would have kept flowing for 100s or even 1000’s of years during persistently drier periods experienced in the past (read more here). 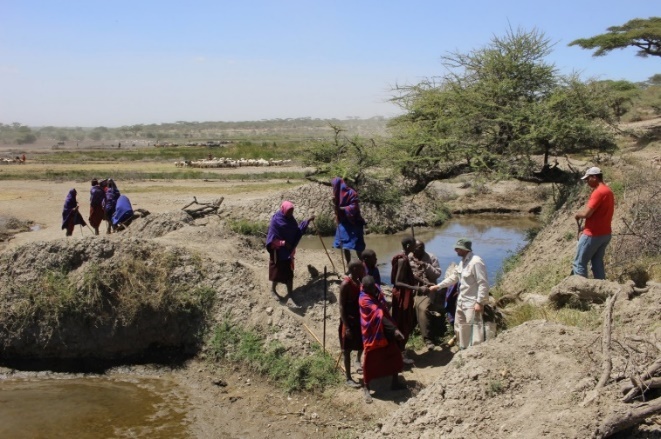 The springs that were flowing in the Olduvai area 2 million years ago, just like the springs on the margins of present day Lake Masek, would have been the only freshwater for miles around and vital for sustaining life during dry periods. Since there are hundreds of freshwater springs dotted around present day drylands in the East African rift system, we can hypothesise that during dry periods in the past, similar locations would have acted as ‘hydro-refugia’ – places where animals could find the necessary freshwater for survival in an otherwise dry landscape. In dry periods there would be lots of competition for these resources and populations would have become isolated from each other for quite long periods. During wetter periods springs would have enabled our ancestors and other species to move long distances across the East African landscape and beyond, acting like stepping stones connecting river corridors and lakes and enabling populations of different species to encounter one another (read more here). Groundwater was likely therefore an important control on the movement and evolution of humans in this environment. Photo 3: (L) Paranthropus boisei (‘Zinj’) hominin skull found at Olduvia gorge (Photo Credit: Tim White PhD, Human Evolution Research Center, University of California, Berkeley) & (R) Mark Cuthbert next to a tufa (calcium carbonate) deposit thought to be evidence of groundwater discharging near the site that the Zinj fossil was found. Groundwater is often ‘out of sight and out of mind’. Our safari gave us a glimpse into its importance in sustaining life in a dryland environment not just in the present day, but also for our ancestors going back at least 2 million years through some climatically turbulent periods. The challenge going forward is how that groundwater resource can be protected to make sure it’s there when it’s needed in the face of an uncertain climatic future. Acknowledgements: it has been a massive privilege to be able to explore this landscape and ponder how freshwater has shaped life here over millions of years. Particular thanks to our guides Joseph Masoy and Simon Matero, logistical support from Charles Musiba (LOGIFS – Laetoli-Olduvai Gorge International Field Camp) and TOPPP (The Olduvai Paleoanthropological and Paleoecological Project), our hosts at the Ngorongoro Conservation Area Authority, and all our collaborators on the papers cited. School of Earth and Ocean Sciences, at Cardiff University in the United Kingdom. 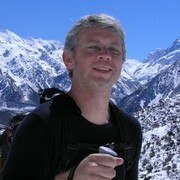 Mark’s work currently focuses on coupled hydrological-climate process dynamics in order: to understand & quantify groundwater sustainability; to improve interpretations of terrestrial paleoclimate proxy archives; to understand Quaternary paleoenvironments & how they influenced our evolution as a species. 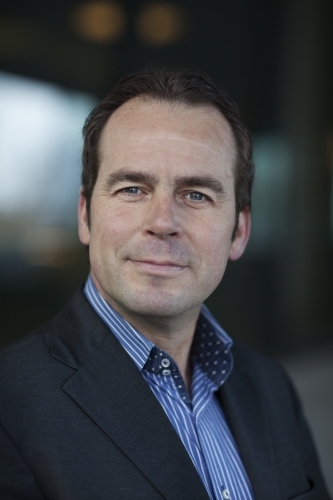 Read more on Mark by clicking on the links below. 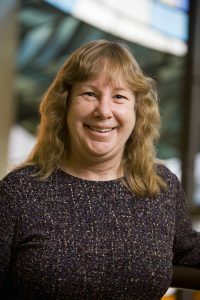 Gail M. Ashley is a Distinguished Professor and Undergraduate Program Director of Quaternary Studies Program at Rutgers University, in the United States. Gail studies modern physical processes and deposits of glacial, fluvial, lacustrine, arid landscapes, and use this information to interpret paleoenvironments. 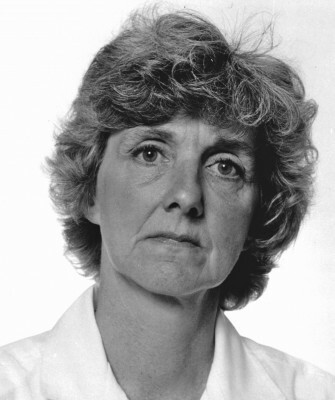 Read more about Gail by going to her research website. Post by Jim Roy, Research Scientist at Environment and Climate Change Canada. However, it’s not all doom and gloom; indeed the article goes on to state that “it is good for PhD students and postdocs to pursue careers outside academia. Many will find similar challenges and rewards in industry.” There are a lot of options for Groundwater PhDs in industry and the plethora of supporting consulting firms: in mining, oil and gas, tunnel and dam engineering, municipal water supply, and contaminated site remediation, to list a few. However, there is an additional career path to consider, especially if you want to continue doing research – the government scientist, like me. According to Wikipedea: A government scientist is a “scientist employed by a country’s government, either in a research-driven job (for example J. Robert Oppenheimer on the Manhattan Project), or for another role that requires scientific training and methods.” I’ll be focusing on those that do research (encompassing science and engineering), at least for much of their work. And in this blog, I’ll be comparing their job duties and conditions to that of the professor, the research job with which the majority of students and post-docs are most familiar and traditionally aiming for. It’s what I thought I would be too, coming out of grad school. 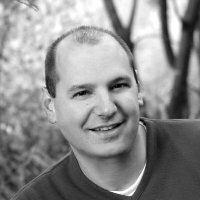 Now it’s been 10 years since I took up my position as a Research Scientist focusing on groundwater contamination/quality with Environment Canada (now Environment and Climate Change Canada) – enough time to have experienced the ups and downs of the Canadian economy and the changing of the governing party, with repercussions of both for federal science priorities and budgets. The discussion below is based largely on my own experience, with insight gleaned from talking with colleagues in other government agenciesa over the years. It’s also highly generalized; the exact situations will vary by country, agency, and even by individual scientist, and may change over time. But hopefully it’s good enough for a light-hearted introduction to this alternate career area. All scientists want to do work that is meaningful, but not all scientists get to choose on what topic that work will focus. In general, government scientists undertake research on issues of government priority that will advise on federal policy, regulations, and management activities, or that will provide service to important national industries or the public. So their work should have a meaningful impact on their country, if not more broadly; they just don’t get to decide on the priority topics (with exceptions for certain agencies or programs). However, often these priority topics are general enough that there is some range of projects that can fit within them, giving the scientist some flexibility on their research focus. Also, by advising their management and government representatives of important topics, government scientists may influence the direction of government priorities. Also, a government scientist may be afforded some leeway to work on additional topics outside these priority areas with a small fraction of their time. Government research usually targets short- to intermediate-term achievements, as fits the common government election cycle. However, some priority topics may last for decades – see North American Great Lakes eutrophication and algal blooms – waxing and waning in importance with the severity of the problem (costs!) in relation to the other pressures on the government (the economy!). For those who choose this career path – beware, though, when government priorities change, your research area may have to change too. For academics, their options are typically much broader, encompassing everything between applied research with immediate implications to research so basic that nobody can predict what may eventually come of it. The caveat to this is that an academic’s research topic often has to be deemed important enough and applied enough for “someone” to fund it. Industry funding is usually quite applied. 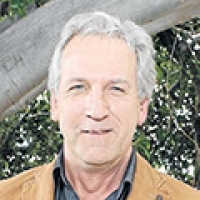 But even government funding agencies, which are usually the primary support for more basic academic research, are increasingly imposing greater direction over the acceptable topics of proposed research. So perhaps this extra freedom isn’t so vast in practice. Many government scientists are appointed to one or more adjunct professor positions at universities where their academic collaborators reside. These could be at nearby universities or those across the globe, and these locations may change over a career. It isn’t a paid position, but allows for closer research ties, including the (co-)supervision of undergraduate and graduate students, which benefits both the university and the government agency. Such positions may also afford access to laboratory space on campus or to additional research funding (held at the university, but directed by the adjunct professor). I haven’t heard of a case of the opposite arrangement – adjunct government scientist – but it might exist. Academics may pop in and be given some office space and support during a sabbatical while collaborating with a government scientist, but they’re really just temporary squatters. If anyone out there knows of such a situation, feel free to post below. An obvious difference, this can be viewed as good or bad news depending on how much you like it. I enjoyed teaching while I was a grad student. Many scientists give guest lectures or even short-courses at local universities. I taught an entire hydrogeology course for a university colleague during his sabbatical – so this can be an option for some in government who have an interest. Not having required teaching does provide greater flexibility in scheduling your work (especially field trips) and leaves more time for research and/or other important activities, like playing hockey or “family life”. The model for academic research is based on students and post-docs (a team of them often) carrying out the primary duties of research under the supervision of their professor. Certainly there are exceptions where the professor carries out their own study, but generally they lack the time for this. However, professors may have technicians too. It’s common for some to hire current or past students as technicians for a few years after they graduate, while (senior) professors may have dedicated technicians. In contrast, the model for government scientists is to have one or more dedicated and highly-experienced technicians available to assist in their research. Separate analytical laboratory or field teams may also be available. Although, with tightening budgets this technical support seems to be dwindling. 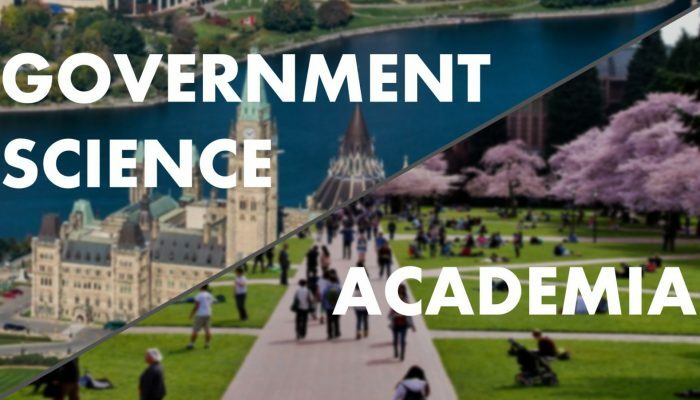 It’s also fairly common for post-doctoral fellows to be hired by government agencies to work with their scientists – I’ve worked closely with 2 post-docs over my 10 years at Environment and Climate Change Canada. And what’s more, through adjunct professor positions or just collaborations, government scientists may also work with and (co-)supervise students from a partner university, just not to the same extent as for the academics. Thus, there can be a fair bit of overlap between these two models, especially when collaborations extend between academics and government researchers; and this integration, I think, makes for better science all around. Academics have much more freedom to showcase themselves and their work to the public, the science community, and business/industry. This can be through personalized research web pages, starting a blog (like this one! 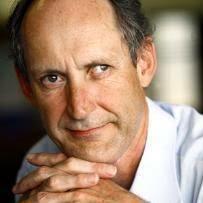 ), and greater freedom to speak to the media (depending on the presiding-government’s rules for their scientists). They also tend to attend more scientific conferences, where they and their students can advertise their scientific wares to a range of audiences. Not all professors consult, but many do, which can provide a boost in income and lead to funding or in-kind support opportunities for their research or to job opportunities for their students. I haven’t heard of any government agencies that allow their scientists to consult as a side profession. In part, they want all your time devoted to your job working for them; but it also runs into “conflict-of-interest” concerns. Now that doesn’t mean you can’t have a side-job (e.g., selling pottery, repairing dishwashers, stand-up comedy, teaching Yoga), but it can’t relate to your science profession. Working on national (or state/provincial) priority research commonly means government scientists work predominantly on sites in their own country (region), unless inter-jurisdictional agreements are made to combine or share research expertise. 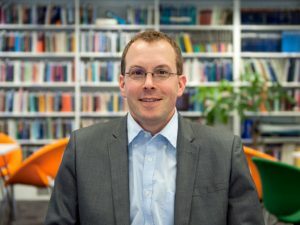 In contrast, academics are able and encouraged to work at international sites, which can expand the range of research topics and potentially funding sources available to them. Much of my funding is internal, requiring much shorter (i.e., less onerous) proposals than is typical for my academic colleagues seeking funding through centralized national funding agencies (e.g., NSERC in Canada) or from industry partners. My proposals may still go through a competitive process, though, sometimes with external reviews. How substantive this internal funding is compared to academic funding will depend on the agency, how science is viewed by the current government, the state of the economy, and the importance of the topic. When internal research budgets are tight, there may not be sufficient funding to go around, especially for those not working directly on key priorities. Of note, some government agencies allow their scientists who have adjunct status at a university to apply for the same set of grants as academics. Whether such proposals are frowned upon or judged differently by funding agencies is up for debate. 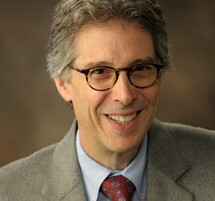 Frustrations with too-much time devoted to administrative tasks and seeking funding are prevalent in both government and academic research areas. But still, the opportunity to do research on interesting, challenging, and important topics at the edge of our current scientific understanding brings enjoyment / fulfillment to both government scientists and academics. We all feel that slight quickening of the pulse when “the data is in” and we learn if the expected outcomes were realized or (better yet) something different (new!) might be going on. It’s why we do what we do. In hydrogeology, there remains much to explore, especially at the inter-disciplinary mixing zones around the edges of our specialty. And we’ll need new concepts, new methods, and new connections to move our understanding forward. Scientists from academia and government and industry and other groups can all contribute to this quest. For graduating PhDs, hopefully this leaves you with multiple career path options for joining in the fun. 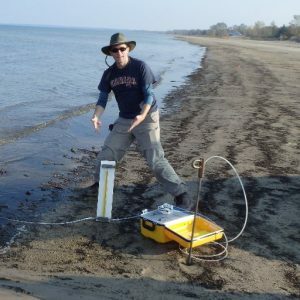 a In Canada, besides Environment and Climate Change Canada there are also PhD-holders doing groundwater-related research in Natural Resources Canada, Agriculture and Agri-Food Canada, and the National Research Council. In the U.S., much great groundwater research is carried out by the U.S. Geological Survey, with research also carried out by other federal and state agencies. Many other countries have similar geological or environmental departments or agencies with PhDs doing some or much research. You can look these up on the web, though often government scientist pages aren’t nearly as good as those for academia. 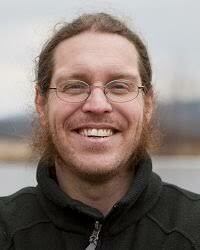 Jim Roy is a Research Scientist at Environment and Climate Change Canada. 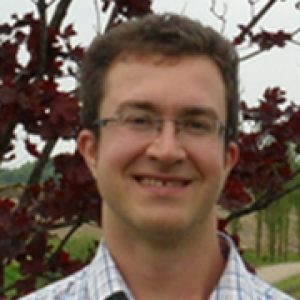 His current research focuses on: groundwater contaminant impacts on surface waters and aquatic ecosystems, groundwater contributions of phosphorus to surface waters, potential leakage of Alberta oil sands tailings ponds to the Athabasca River, and groundwater and gas systems. 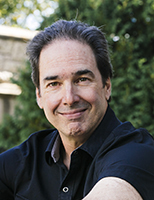 Find out more about Jim by clicking on the links below. 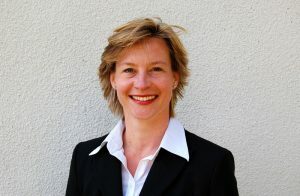 Post by Scott Jasechko, Assistant Professor of Water Resources with the Bren School of Environmental Science & Management, at the University of California, Santa Barbara, and by Debra Perrone, non-resident Fellow at Water in the West and an Assistant Professor, also at the University of California, Santa Barbara, in the United States. Tens-of-millions of Americans rely on groundwater stored in aquifers for drinking water. Because it is possible that hydraulic fracturing activities can impact water resources (i.e., quote (a) above), and because groundwaters located close to hydraulic fracturing activities are more likely to be impacted than those farther away should a contamination event occur (i.e., quote (b) above), it is important to assess how many domestic groundwater wells are located close to hydraulically fractured wells. In a recent study [Ref. 2], we assessed how close domestic groundwater wells are to hydraulically fractured wells, and to oil and gas wells (some hydraulically fractured, some not). Due to consistencies limitations in both oil and gas and groundwater well datasets, we limited our analysis to groundwater wells constructed between 2000-2014, hydraulically fractured wells likely stimulated during the year 2014, and oil and gas wells producing in 2014. Our study has two main findings. 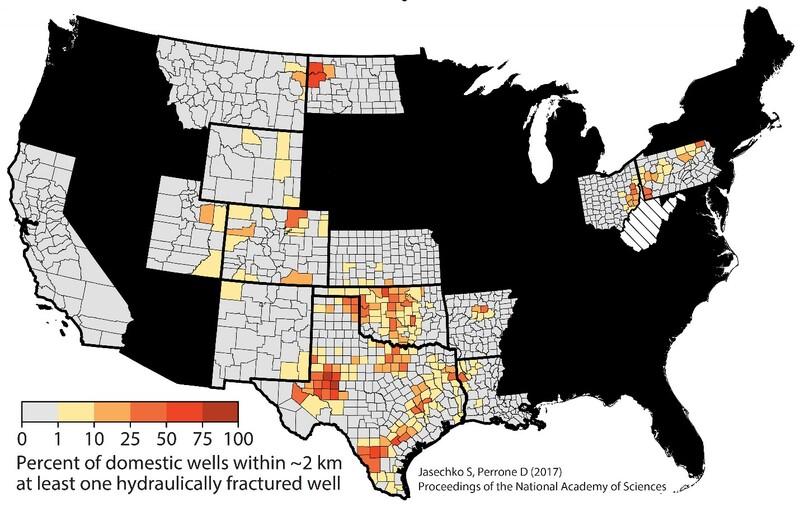 First, we found that most (>50 %) recorded domestic groundwater wells constructed between 2000 and 2014 exist within 2 km of at least one hydraulically fractured well in 11 US counties (Fig. 1). Further, about half of all recorded hydraulically fractured wells that were stimulated during 2014 are located within 2-3 km of at least one domestic groundwater well. We suggest these regions where groundwater wells are frequently located near hydraulically fractured wells might be suitable areas to focus limited resources for further water quality monitoring. Figure 1. The percentage of domestic groundwater wells that were constructed between 2000 and 2014 that have a recorded location that lies within a 2 km radius of the recorded location of at least one hydraulically fractured well that was stimulated during the year 2014. Second, we assessed the proximity of oil and gas wells being produced in 2014 – some hydraulically fractured but others not – and groundwater wells. 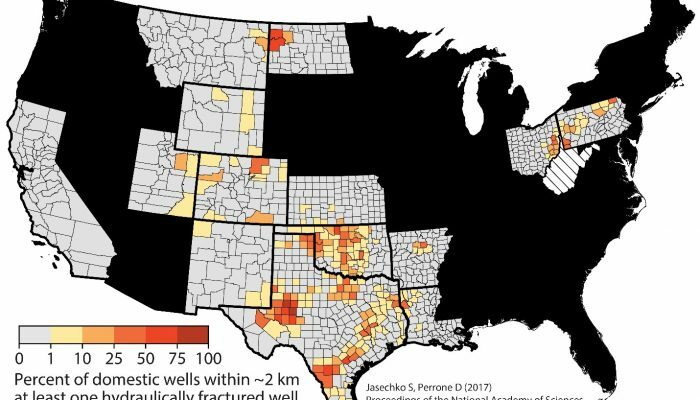 We found that many domestic groundwater wells are located nearby (<1-2 km) at least one oil and gas well, and, that actively-producing oil and gas wells are frequently located nearby at least one domestic groundwater well (Figure 2). Many of the potential contamination mechanisms associated with the construction, stimulation and use of hydraulically fractured wells are also associated with conventional oil and gas wells, including potential for spills on the land surface and well integrity failures [Ref. 3]. Therefore, assessing potential water quality impacts resulting from activities associated with oil and gas production derived from both hydraulically fractured wells and from conventional oil and gas wells is important. Figure 2. 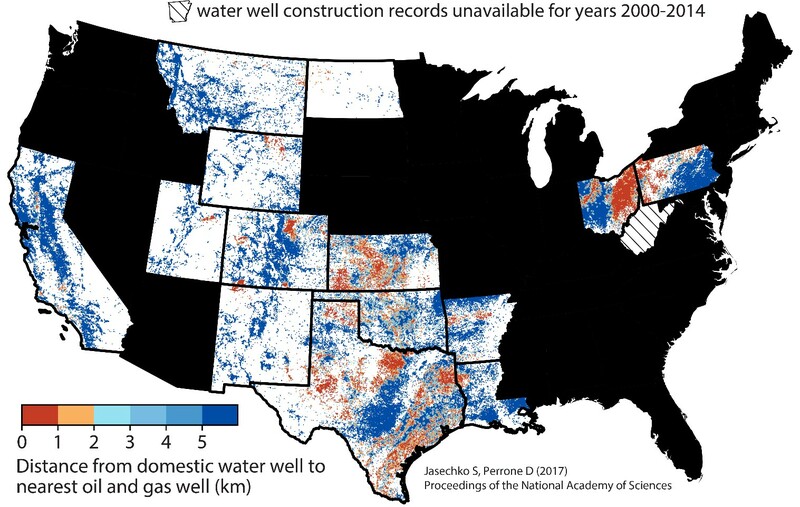 The upper panel shows the distance between recorded oil and gas wells producing in 2014, and recorded domestic groundwater wells constructed between 2000 and 2014. 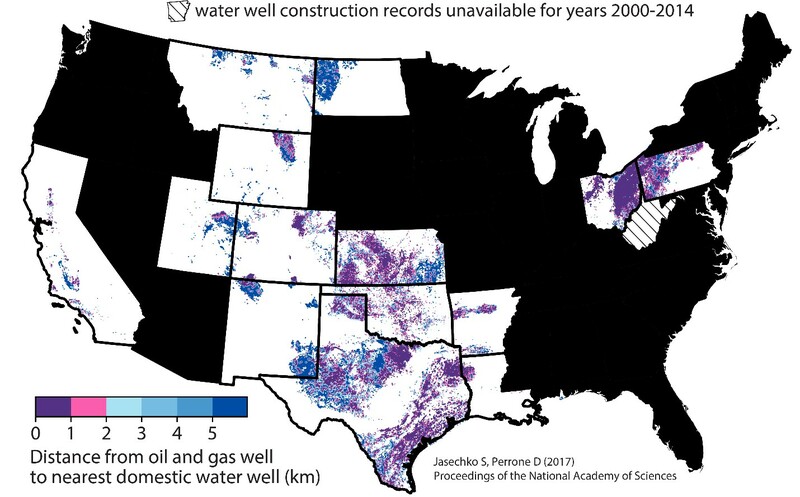 The lower panel shows the distance between recorded domestic groundwater wells constructed between 2000 and 2014 and the nearest recorded oil and gas wells producing in 2014 (see Ref. and references therein for data sources). We conclude that (i) publicly-available groundwater well construction data are critical for managing groundwater resources and completing water quality risk assessments (see Ref. 4 for data quality information), and emphasize that not all states currently provide access to digitized groundwater well construction records (e.g., Figure 2), (ii) hotspots exist where activities related to oil and gas production occur nearby domestic groundwater wells, and these regions may be targeted for further groundwater quality monitoring, and (iii) assessing how frequently activities in the hydraulic fracturing water cycle impact groundwater quality may be vital to securing high quality water pumped from many domestic water wells where oil and gas production is common. Figure 3. 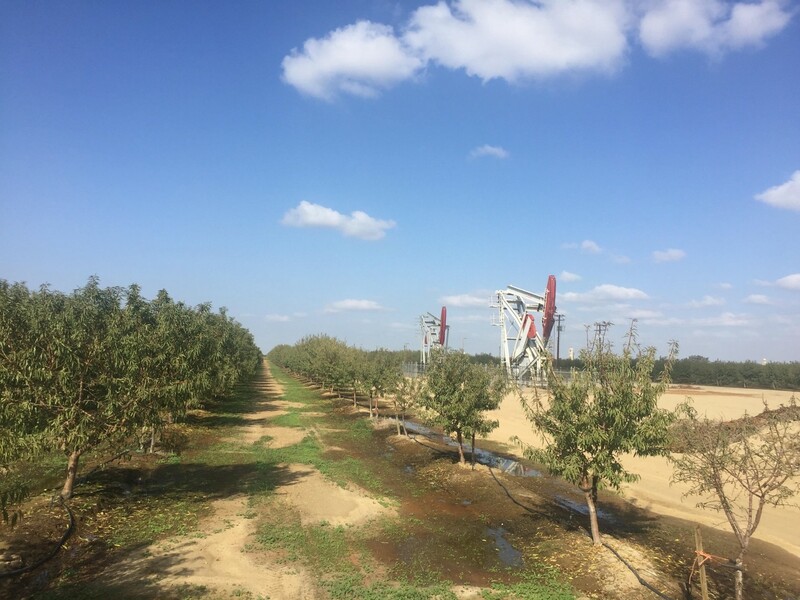 Hydraulically fractured well situated close to an irrigation system in California’s San Joaquin Valley. [Ref. 1] U.S EPA. Hydraulic Fracturing for Oil and Gas: Impacts from the Hydraulic Fracturing Water Cycle on Drinking Water Resources in the United States (Final Report). U.S. Environmental Protection Agency, Washington, DC, EPA/600/R-16/236F, 2016. Accessed from https://www.epa.gov/hfstudy November 15, 2017. [Ref. 2] Jasechko S., Perrone D. (2017). Hydraulic fracturing near domestic groundwater wells. Proceedings of the National Academy of Sciences. [Ref. 3] Vengosh A., Jackson R. B., Warner N., Darrah T. H., Kondash A. (2014). A critical review of the risks to water resources from unconventional shale gas development and hydraulic fracturing in the United States. Environmental Science & Technology 48, 8334-8348. [Ref. 4] Perrone D., Jasechko S. (2017). Dry groundwater wells in the western United States. Environmental Research Letters 12, 104002. 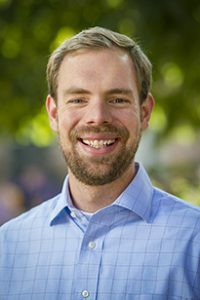 Scott Jasechko’s research focuses on fresh water resources, and uses large datasets to understand how rain and snow transform into river water and groundwater resources. 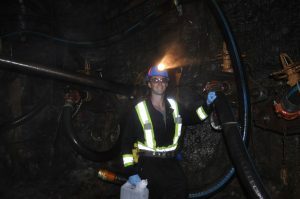 Find out more about Scott’s research at : http://www.isohydro.ca. 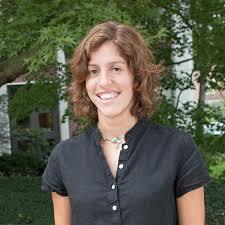 Debra Perrone is interested in the multifaceted interrelationship between water, energy, and food resources. 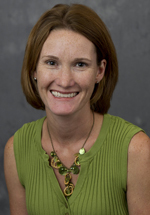 Her research explores how the interactions among these resources affect decisions and tradeoffs involved in water resource management. 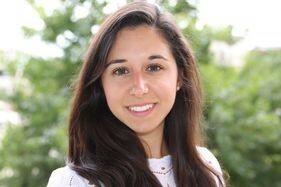 Find out more about Debra’s research at: http://debraperrone.weebly.com/. I want to share a book with you that has encouraged me through initial academic mires (I was only in graduate school for 7 years…) and inspired me to expand my perception and appreciation of the natural world. The book is Bedrock: Writers on the Wonders of Geology [Savoy et al., 2006]. It is a carefully curated collection of snippets and excerpts from international literary sources describing geologic processes and outcomes. Most of the writings come from the 20th century with several exceptions extending not quite as far back as the Pleistocene. Each chapter, or collection of writings, is oriented around a theme in the earth sciences, one of which is “Rivers to the Sea”…the creative views of hydrologic, mainly riverine, processes chapter. While the excerpts are the main event in each chapter, a quick introduction to each selection is given within the broader geologic context along with some reasoning in why each was chosen. 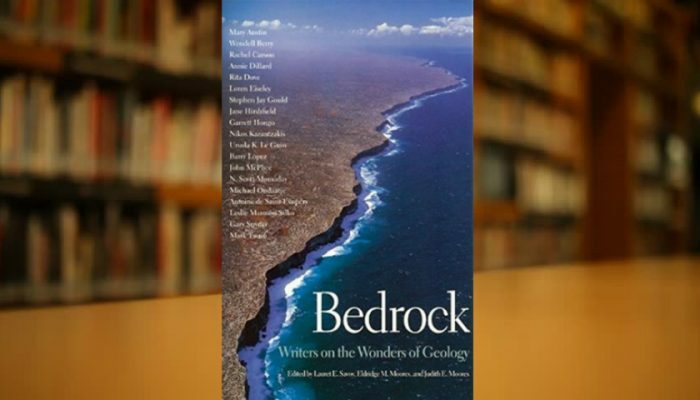 Bedrock is not a book about hydrogeology, and it really doesn’t directly talk about water underground. BUT, Earth is explored in the excerpts, and developing connections between groundwater and other geologic processes is our job, not the literary masters who “contributed” tidbits to the book. As you should have expected, John McPhee shows up a number of times, but not too much. Many of the early geologists (e.g., G.K. Gilbert, James Hutton, and John Wesley Powell) and environmentalists (e.g., Rachel Carson and John Muir) also share their reflections of geologic forces on nature. As someone who reads blogs about groundwater, remember to extend the literary reflections to include how the topics interact with groundwater systems. For example, the cover image evokes excitement (or consternation) from a groundwater hydrologist, as it shows the coastline of Nullarbor Plain in southern Australia, home to the “world’s largest limestone karst area” (http://www.australiangeographic.com.au/travel/destinations/2016/04/hidden-nullarbor). My suggestion for reading this book is to take it slow: one excerpt in the morning to kick-start the day, remembering why it is you do what you do. Be inspired, awed, and reminded of how geological processes have shaped our world over billions of years. Or, read an entry when the day has taken a turn to the slow or chaotic. Like any good devotional, Bedrock has great re-readability and also points you towards the original documents for more in-depth explorations of literary (hydro)geology. Savoy, L. E., E. M. Moores, and J. E. Moores (2006), Bedrock: Writers on the Wonders of Geology, Trinity University Press, San Antonio, TX. We at Water Underground loved reading Young Hydrologic Society’s post titled “Community advice to young hydrologists” – an advice column written by a network of established scientists in the field. We appreciated the column so much, in fact, that we have decided to re-blog the post to you (with YHS’s consent, of course). We’ve split up their post by question, and have added in hyperlinks to all contributors and related material (as has always been our inclination). Happy reading! Question: What book or paper has been most influential to your career and why? Groundwater by Freeze and Cherry – this textbook, now out of print, was a critical reference as I began my graduate training in hydrogeology and I still refer to it today. I can think of no single one. However, papers that were a combination of field observations and clever analyses leading to new insights always are intriguing. Papers which I find of little value are those that propose a new modeling approach with little to no field verification, or which use existing models to reach some conclusion. For example, we seem to be seeing a proliferation of papers using complex models to highlight some “new” effect of climate change on the hydrologic cycle, with no grounding in hindcasts. (See this, also) The musings of Keith Beven always have been insightful, including his Advice to a Young Hydrologist. I can’t identify single “most influential” books or papers – I learned early to read as widely as possible, and not just within narrow/specific research problems of direct interest. 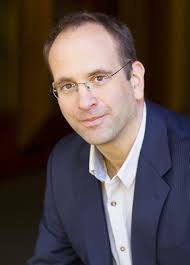 I have been inspired by a range of articles – including books on philosophy, history of physics, etc. – which broadened my approach and ways of looking at a given problem. Indeed, some of my most influential work developed from studying methods and approaches in statistical physics and physical chemistry. 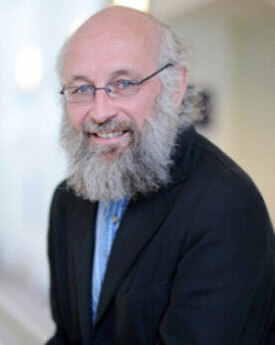 The most important influence was a person – Mike Kirkby and particularly the undergraduate course on quantitative hydrology he taught at the University of Bristol when I was taking my degree there (later, I would do a post-doc with him at Leeds that resulted in the development of Topmodel). That gave me a lot of reading to do – but it was probably not the hydrological reading that had most influence, but rather the papers on theoretical geomorphology starting with Horton BGSA 1945, then picked up by Kirkby, Frank Ahnert and others in the late 1960s. I struggled to understand them (at the time I wanted to be a geomorphologist but I have never quite finished getting the water part right) but they left me the idea that it was possible to theorize about environmental processes and systems in approximate but useful ways. 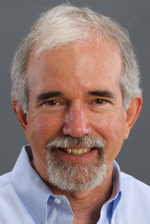 During my PhD the most influential paper was undoubtedly Freeze and Harlan JH 1968, and the papers about the field site I was applying my model to by Darrell Weyman (HSB 1970, IAHS 1973). If I had talked to him a little more (he was doing his PhD at Bristol while I was an undergraduate) or read those papers more carefully, then I might have been more realistic in my PhD modelling. The most important book at that time was Zienkowicz, Finite Element Modelling (that was the technique I was trying to master). Hillslope Hydrology edited by Kirkby was also important but came later. 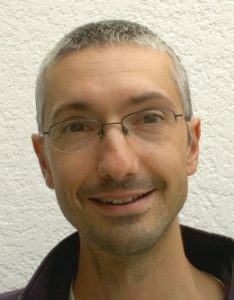 Paper: Scale of Fluctuation of rainfall models by I. Rodriquez-Iturbe. It formed the basis for my MSc research that I did during 11 months in Davis California (As a Dutch Student from Wageningen). It was extremely difficult stuff, but I kept on it and it understanding gave me the stamina to really dig into a subject. It was the basis for my first paper entitled “Analytically derived runoff models based on rainfall point processes” in WRR. To obtain better background I also read in depth the influential. Book: Random Functions and Hydrology by R. Bras and I. Rodriquez-Iturbe. Dooge’ 1986 Looking for hydrologic laws in WRR. This paper gives a broad perspective on science, including scales. Konrad and Booth (2005), Hydrologic changes in urban streams and their ecological significance, American Fisheries Society Symposium, 47:157-177. This paper is a bit outside my area of expertise, but I think the linkage they make between physically measurable streamflow changes and stream ecology represents a fundamental shift in thinking from engineering hydrology to more of an eco-hydrology perspective. They illustrated that we need to go beyond analyzing just changes in peak flow or low flows (or fixed percentiles), to look at more derived metrics that better capture hydrologic regime change. That is a very hard question. As a Geography undergraduate student, I had to write a particular essay on the “all models are wrong” theme and this involved critiquing two papers which completely changed my worldview about models and modelling: Konikow and Bredehoeft’s 1992 ‘Ground-water models cannot be validated’ Advances in Water Resources 15(1):75-83. and Beven’s 1989 ‘Changing ideas in hydrology – the case of physically-based models’ Journal of Hydrology. But in the last year, I would say it has been Lab Girl by Hope Jahren (2016) who is a gifted and talented scientist and writer and has the knack of intertwining the natural world with tales of remaining brave in your career. I wish I’d had the opportunity to read it earlier in my career. Ecological and General Systems – H.T. Odum. This book explores general systems theory in the context of ecosystem behaviors. It is holistic, comprehensive, and full of important insights about the structure and dynamics of systems. It is a novel by Milan Kundera: “Slowness”. My natural tendency is to rush up, be as fast as possible, quickly fix things… Yet, speed often leads to miserable outcomes. Many lines of Kundera’s book are still in my mind, and they work as a continuous reminder for me that only slowness allows thoughtful consideration, serious reflection, and appreciation of reality. Realizing this has strongly influenced my academic career as it made me focus on the quality (and not the quantity) of my work. Several hydrogeology-related texts were very helpful for me. These include some of Mary Hill’s papers, John Doherty’s PEST manual (as much for the philosophy as the instruction), some of Jasper Vrugt’s early papers, and work by both Wolfgang Novak and Steve Gorelick on measurement design. The real recommendation would be to find authors that you enjoy and read as much of their work as possible – in this category, I would add Shlomo Neuman, Randy Hunt, Hoshin Gupta, Dani Or, Keith Beven and Graham Fogg. I am sure that I am forgetting more than I have listed. I think it is equally important to read broadly. Rather than provide a list, I’ll encourage you to look at my recent paper in Ground Water (Sept 2016) for some suggestions! Book: Groundwater Hydrology by David Keith Todd, 1st edition, 1959. As a 3rd-year undergraduate in hydrology at the University of New Hampshire in 1973, this book (and course by Francis Hall) kindled my interest in groundwater and completely changed my career path, which previously was essentially an aimless sleepwalk through my major in mathematics. Paper/report: Kaiser, W. R., Johnston, J. E., and Bach, W. N.. 1978, Sand-body geometry and the occurrence of lignite in the Eocene of Texas: The University of Texas at Austin, Bureau of Economic Geology Geological Circular 78-4, 19 p. This paper demonstrated in stunning detail how modern borehole geophysical data together with understanding of the geologic genesis of sedimentary deposits could be used to create unprecedented subsurface maps of aquifer/aquitard system heterogeneity and structure. This led me down the long path of better integrating groundwater hydrology and geologic depositional systems. My interests have been in predictive hydrometeorology. The following were influential books at the start of my carrier in the late 70s and early 80s: Dynamic Hydrology by Eagleson; by Wallace and Hobbs; Applied Optimal Estimation by Gelb (ed). These represented the fields of hydrology, meteorology, and estimation theory with applications to prediction, and were the necessary pillars to build predictive hydrometeorology. Haitjema and Mitchell-Bruker (2005) which taught me to think of groundwater as a process that interacts with topography, climate and geology in complex but predictable ways. On the one hand this paper clearly identified an important problem that needed to be addressed. On the other (as I often remark during talks on the subject), I think it was remarkable as an example of a paper reporting the apparent “failure” of the researchers to achieve their goals … how often do we see people reporting their failures in the literature these days :-). 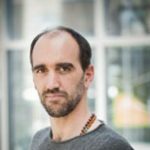 More of this kind of work – reporting a scientific study and accurately reporting both successes and failures … but especially failures … is critically important to the progress of science, so that people can both contribute to solutions and also avoid unsuccessful forays down paths already tried. 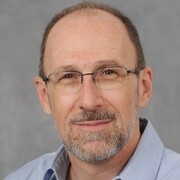 In any case, the paper clearly pointed me towards an important problem that led to me adopting a path of research over the past decades, which led to the development of the SCE and SCEM optimization algorithms (and indeed a whole field of optimization developments), studies into impacts of model structural deficiencies, multi-criteria methods for parameter estimation, the diagnostic model identification approach, and more recently the Information Theoretic approach. The 1990 paper by Michael Celia et al on the numerical solution of Richards equation, recommended to me by Philip Binning at the beginning of my Honours Project at Newcastle Uni. This paper made a big impression on me because it provided a very clear exposition of how to solve a challenging modelling problem – and played a bigly role in getting me interested in research. The Ecological Studies Series, published by Springer, was the most influential in my career because several books published in the Series (e.g., Forest Hydrology and Ecology at Coweeta edited by Swank and Crossley and Analysis of Biogeochemical Cycling Processes in Walker Branch Watershed edited by Johnson and Van Hook) sparked my interest in forest hydrology and biogeochemistry. In tandem with the superb mentorship of Prof. Stanley Herwitz (Clark University), I decided to embark upon a career as a forest hydrologist as a sophomore in college. I never looked back. The papers of the series “Plants in water-controlled ecosystems” (2001, Advances in Water Resources 24), by Laio, Porporato, Ridolfi, and Rodriguez-Iturbe have been among the first and most influential I have read. Their clean, analytical approach to the complex interactions among vegetation, soil, and climate remains deeply inspiring. As an example of inter-disciplinary work (actually outside hydrology), I would like to mention the book by Sterner and Elser (2002) “Ecological stoichiometry. The biology of elements from molecules to the biosphere” (Princeton University Press) – a great example of how integrating knowledge from various sources around a common theme can yield deeper understanding and perhaps even lay the foundation of a new discipline. The Hewlett and Hibbert 1967 conference paper “Factors affecting the response of small watersheds to precipitation…” is perhaps the best paper ever written in hydrology. For a full homage, please look here. The paper is field-based, theory focused and a blend of bottom-up and top-down research, before that was even ‘a thing’. It inspired me in my graduate research in the 1980s; I continued to read it and ponder it in my first years as a professor, as I strived to follow in Hewlett’s footsteps. He was my mentor even though he retired before I could ever meet him. In general, the books that have been most influential to me refer to sister disciplines. The reason is that I found illuminating to study methods and models used in statistics and economics for the purpose of applying them to hydrology for the first time. Thus, the most influential book to me has been “Statistics for long-memory processes”, by Jan Beran. The very reason is that I found there a detailed explanation of models that were useful to get to target with my Ph.D. thesis. I think I was more influenced by my peers, colleagues, mentors, supervisors and friends as I learn better through discussions and challenges. One of the more memorable papers is one of Manning (Manning, R. (1891). “On the flow of water in open channels and pipes,” Transactions ofthe Institution of Civil engineers of Ireland.) and it’s associated history. In this paper he actually suggested a far more ‘complex’ formulation than the formula which is today widely known as the Manning equation – history has it that it was never adopted widely as well as many subsequent more more sophisticated formulations. Science doesn’t work linear and we are sometimes less rational or objective (if the latter is actually possible) than we believe. “Show me a person who has read a thousand books and I’ll show you my best friend; show me a person who has read but one and I will show you my worst enemy.” I have been influenced by many and I can’t say one is *the* most influential or important alone. At the moment, I am reflecting on (McCuen RH. 1989. Hydrologic Analysis and Design. Prentice Hall: Englewood Cliffs.) As far as being a hydrology textbook it is not particular special, but it is written extremely clearly with a lot of good step-by-step workflows. Most importantly, the book integrates throughout its whole development the concept of analysis versus synthesis, and this has been central to how I approach my research. We do both analysis and synthesis. This is very difficult to say. I must admit that my academic work started from engineering practice and I only started reading the international literature very late in my career. But a book that has been very influential to me was the book by Fischer et al. (1979) “Mixing in inland and coastal waters”. Fischer soon died in an accident after this book was published. The book introduced me to the fundamentals of mixing processes in estuaries, on which I had done substantial field research and had developed my own practical engineering method, which I still use, but which lacked a fundamental theoretical basis. I am still working on finding this fundamental basis, and Fischer’s book put me on that track. It would be tough to answer what’s been the most influential to my career as a whole, but I could answer what was the most influential to my early career, and that was Menke’s Geophysical Data Analysis: Discrete Inverse Theory. I labored through that book for years during my PhD. My copy has dog-eared pages and writing throughout as I tried to figure out inversion methods. Finally getting my head around the mathematics of inversion really opened up some doors for me early on. Davis’ Tools For Teaching also really helped me think about how to be as effective a teacher as I could be. Books are hardly ever influential once you are actually ‘in’ research. 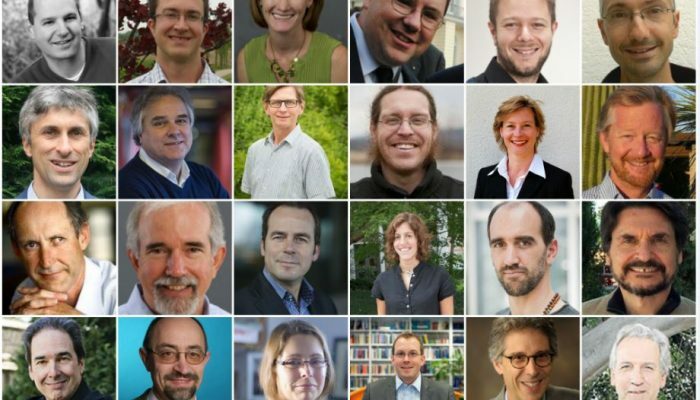 Early on, look for the best review articles in your field. They will ‘set the scene’ for you. “Opportunities in the hydrologic sciences”, National Academy Press. This landmark book which defined hydrology as a science appeared right at the start of my PhD. It provided a nice framework for my own research and that of my fellow PhD students in those days. It is difficult to select one single work from the literature that has been influential over my entire career in groundwater flow and transport modeling. But, there is one book that I used as a grad student that I still refer to today. It is “Conduction of Heat in Solids” by Carslaw and Jaeger. The book is a treatise on analytical solutions to diffusion equations. The lesson for me is that knowledge from other disciplines (in this case thermal engineering) can be applied to problems in hydrology. Another lesson is that we can learn a lot and gain important insights through wise approximations that have analytical solutions. Abramowitz & Stegun: Math is something you look up, not something you try to memorize. In hydrology, some of the most influential books for me have been Handbook of Hydrology (edited by David Maidment) and Principles of Environmental Physics (Monteith & Unsworth). These two books are so rich in physics, empirical equations, recipes, and references. Of course the times have changed and nowadays you can google almost anything, but some of the chapters in these books are so well written that I still regularly use them. They also have the benefit that they summarise areas of research where things haven’t actually changed too much since the 80ies – the physics we use haven’t become that much more sophisticated, and sometimes in fact less so; whereas the field measurements on which a lot of the empirical rules and equations are based generally also haven’t been added much to since. 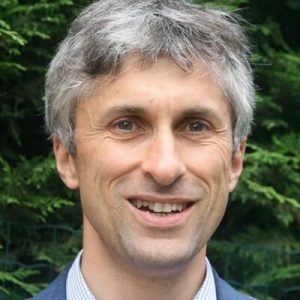 The Sceptical Environmentalist (Lomborg) – I didn’t accept his reasoning but it was seductive and it forces you to really pick apart the logical and rhetorical flaws he uses. Thinking, fast and slow (Kahneman) – which really made me realise the questionable quality of my analytical rigour and decisions in general (also those of anyone else, though!). Physical Hydrology by Dingman and Elements of Physical Hydrology are both great textbooks. Why: just lots of “basics” well explained, emphasizing the need to understand PROCESSES. Comparative hydrology, edited by Malin Falkenmark and Tom Chapman (1989). This book is one of the first to examine global hydrology phenomena. It asserts that a comprehensive and systematic description of hydrological processes is (i) possible (ii) not too complicated. Until then I’d thought the task was impossible, so I found the approach inspirational for my research. Episode 3 – Learning about karst by … KARST IN THE MOVIES! Before writing about karst hydrology in “Of Karst! Episode 4”, I have been urged to present some more visual information on karst landforms. Of Karst! Episode 1 focused on the abundance of hilarious karst landforms in nature. This episode focusses more on the appearance of karst features in famous movies and TV programs that may be familiar to some of us, although we may not have watched them through the eyes of a karst fanatic at the time. In the next episode, we follow the path of the water from the karstic surface with karstic towers and dolines, through caves and conduits, to spectacular karst springs where waters emerge to the surface. Movie makers have their reasons to pick spectacular landscapes for their stories and, Of Karst!, those landscapes are crowded with karst features. Let’s begin with James Bond. 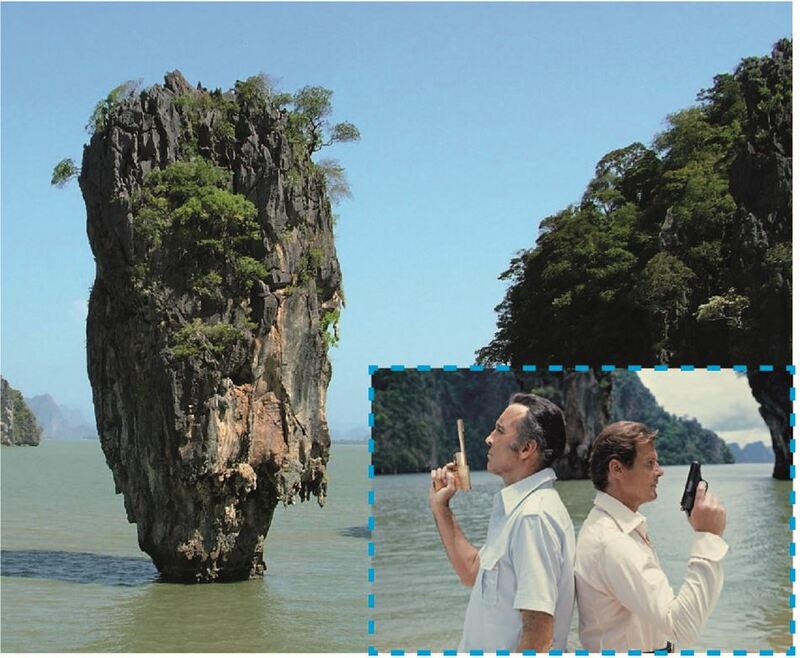 Created in the 70s, “The Man with the Golden Gun” finds a spectacular showdown just in front of a lovely tower karst at the Khao Phing Kan island in Thailand. Tower karst is a karst landform that is, characterized by residual hills of limestone rising from a flat plain or the ocean. Similar landforms were chosen as scenery for a recent remake of the King Kong saga. Fighting with intruders and evil monsters from the deep subsurface (karst caves? 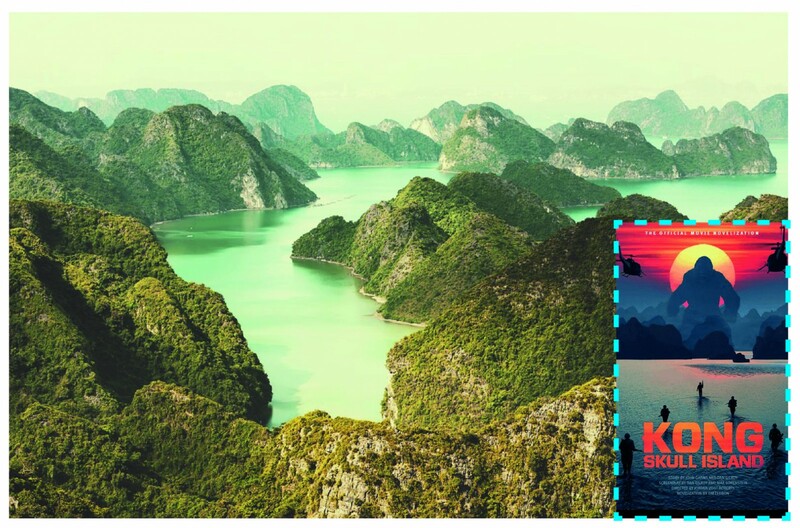 ), Kong had the pleasure living on the beautiful Cat Ba Island in Northern Vietnam, whose characteristic landscape evolved due to the strong dissolution of limestone. Figure 2: Silhouette of Kong between the Tower Karst mountains of Cat Ba Island located at Ha Long Bay, Vietnam (https://c1-zingpopculture.eb-cdn.com.au, http://www.baolau.com). The opposite landform to tower karst landforms are karstic dolines, which occur commonly as funnel shaped depressions on the surface, also formed by carbonate rock dissolution. These depressions do not only funnel the water downwards to the subsurface, but also create favorable conditions for the installation of (very) large radio telescopes. The largest of those was built a couple of years ago in China but a similarly impressive one can be found in Puerto Rico, where James Bond had to deal with his evil competitor Trevelyan in “Goldeneye”. 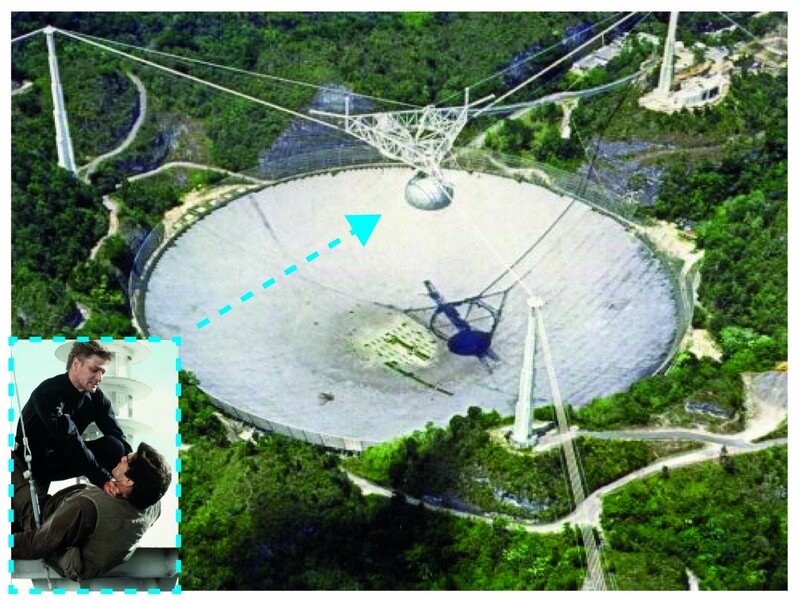 Figure 3: Bond fighting with evil Trevelyan in Goldeneye high above the Arecibo Observatory in Puerto Rico that was built just in the middle of a karst doline (https://i.pinimg.com, http://www.si-puertorico.com). Underneath the tower karst and dolines, karst dissolution creates wide networks of karstic caves and conduits. With increasing dissolution of the carbonate rock, these features may also emerge at the surface, which was probably the case for the Azure Window at Malta. This karst landform was chosen as the background of a conversation of the famous Khaleesi and her spouse Drogo in “Game of Thrones”. Unfortunately, this amazing land form is not available for further movies as it was recently destroyed by a storm. 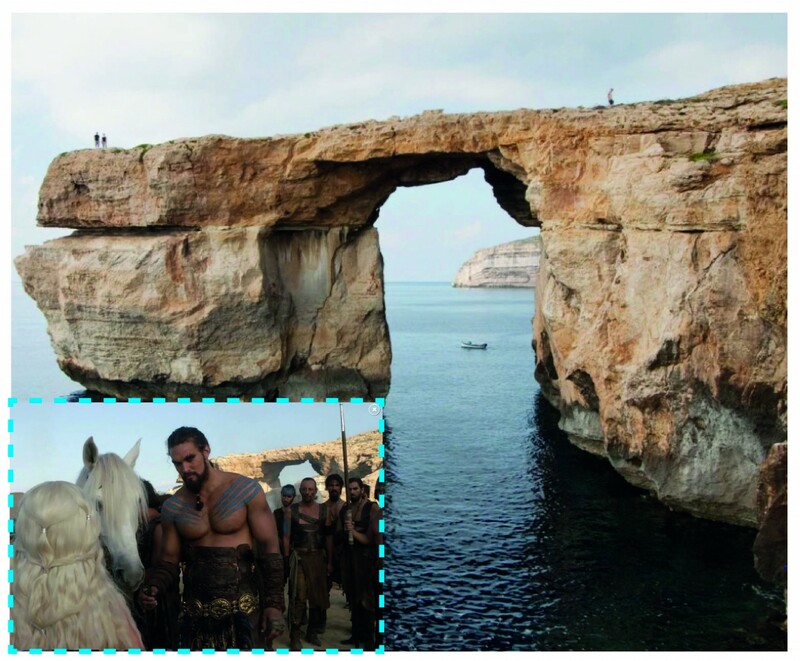 Figure 4: Khaleesi speaking to her beloved Drogo in Game of Thrones in front of the Azure Window in Malta (http://nypost.com). 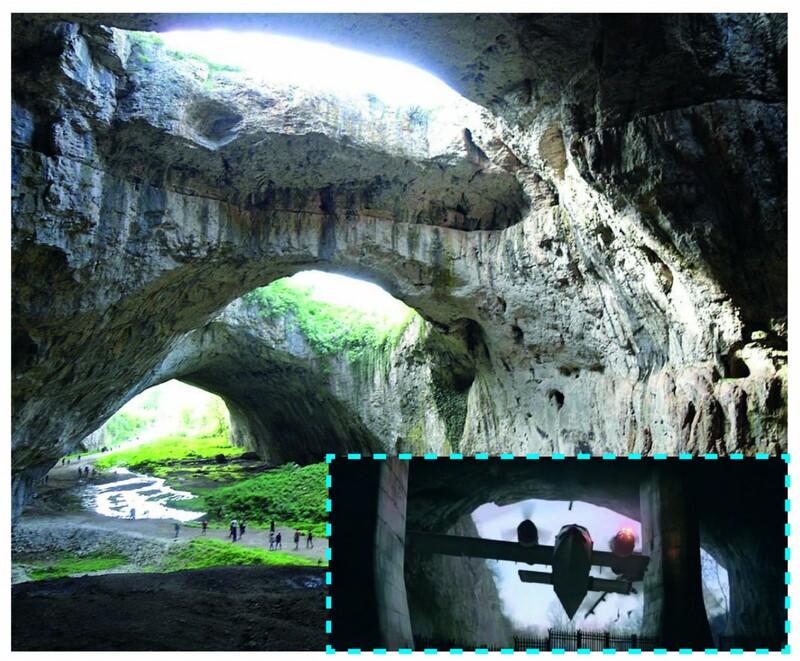 Deeper in the subsurface, the famous Devetàshka cave in Bulgaria set the stage for a dramatic showdown in “The Expendables 2”, when Stalone’s plane crashed through the cave entrance that used to be the exit of groundwater flows emanating from karst. 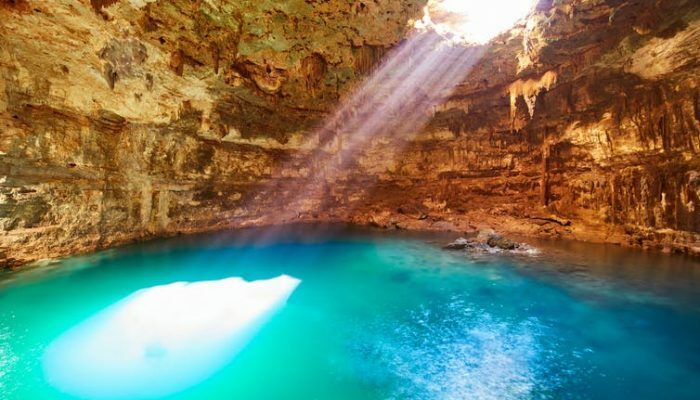 Imagine the tremendous amounts of water filling the karst system over thousands of years that are capable of forming a cave that can (almost) host an entire airplane! Figure 5: Stalone’s plane crashing into the Devetàshka karstic cave in Bulgaria in The Expendables 2 (www.huffpost.com, www.wikipedia.org). Due to the formation of dolines, caves and channels, karst springs are usually quite large in terms of their discharge. They also provide amazing sets for fantasy movies. 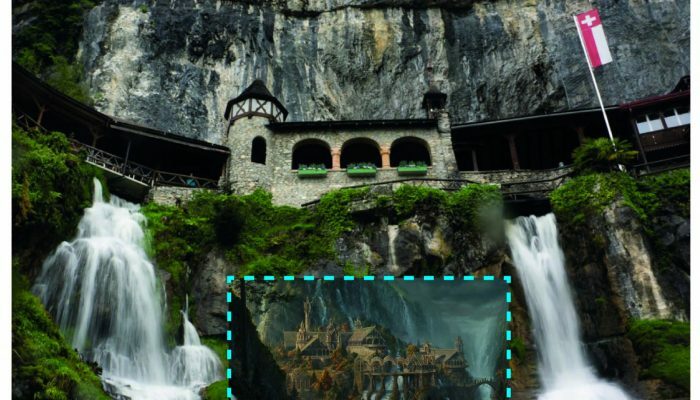 Even though the springs of the St. Beatus Caves in Switzerland only inspired Tolkien for the scenery of the Rivendell, the town of the elves, their similarity is obvious. 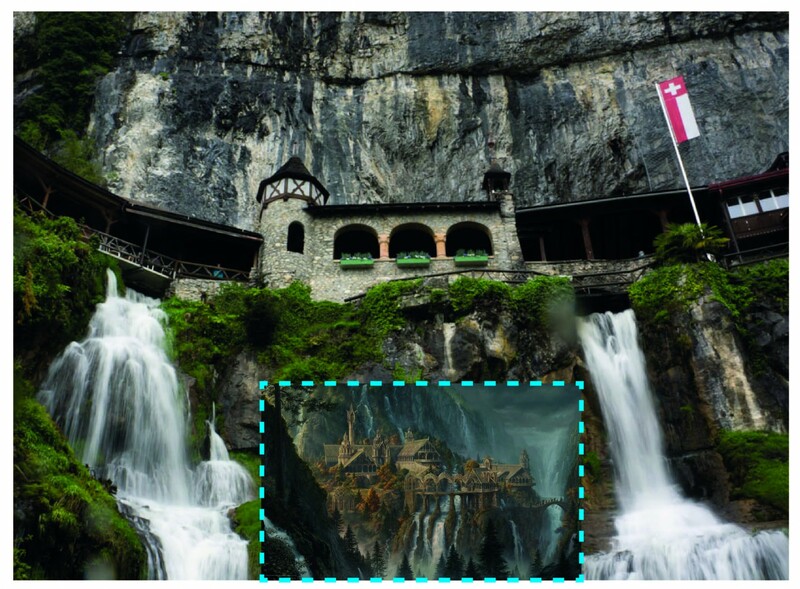 Figure 6: Elves’ town Rivendell in Lord of the Rings, whose scenery was inspired by the karst spring of the St Beatus caves in Switzerland (http://www-images.theonering.org, http://tilomitra.com). This movie-based tour through karst systems may have given you an impression how rainfall becomes discharge in karst systems. Of Karst!, Episode 4, will combine this impression with the hydrological, and more scientific point of view. It will speak to the complexity of these specific surface and subsurface land forms, and elaborate on why exploring and understanding these processes is worthwhile.